As per the report filed in the Delhi assembly, a part of the land of Dargah, located in Chirag Delhi area, was sold by the officials of Waqf Board. 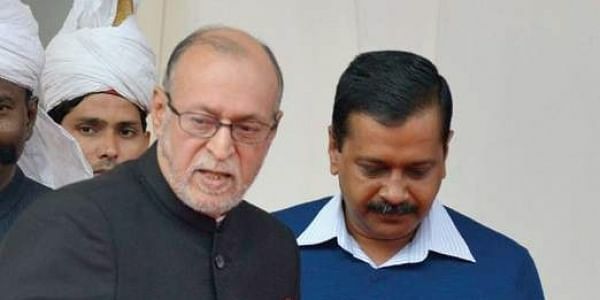 NEW DELHI: Based on a committee report on corruption in the Delhi Waqf Board, the AAP on Wednesday urged Lieutenant Governor Anil Baijal to appoint a Chairman for the board to prevent graft. On Tuesday, the Delhi Assembly-appointed committee found that a part of the land belonging to Hazrat Naseeruddin Aulia Dargah in the national capital was sold illegally in connivance with some Delhi Waqf Board officials in 2016. The Delhi Assembly's Questions and Reference Committee, headed by Deputy Speaker Rakhi Birla, had tabled the report in the House. As per the report, a part of the land of Dargah, located in Chirag Delhi area, was sold by the officials of Waqf Board. The Committee recommended to Chief Secretary Anshu Prakash to initiate criminal and privilege proceedings against a section officer for sale of the property and also for giving "misleading" and "manipulated" deposition during investigation of the case. It also asked the Chief Secretary to submit an action taken report in the House within a month's time. During a discussion on the report on Wednesday, Delhi Transport Minister Kailash Gahlot said the high court had ordered to stop appointment of one of the members of the Waqf Board, but Baijal had stopped the formation of the board instead. Gahlot urged Baijal to take the "process forward so that the Waqf Board will have a chairman", saying that Imams were not getting salaries for the past six months as there was no chairman. Minister Imran Hussain and other Aam Aadmi Party legislators also backed Gahlot's views. AAP MLA Saurabh Bharadwaj said that police did not file an FIR into the Dargha land complaint for two years. He said that the Dargah officials who had earlier said that the land which was sold belonged to them had gone back on their statement and later said that they were not sure whether the land belonged to the Dargah. Bharadwaj said that the Waqf Board had lost 36 cases as advocates had not appeared in the high court. The Committee report also recommended a magistrate inquiry into the 36 cases and the report was adopted by the Assembly.